I wanted to let all my friends here know, that I'm currently in the running for the office of President of the United States. Really. No, it's past April 1. Here's the FB link to my Notice of Candidacy, originally posted on March 25, 2019. My timeline is public, so you can scroll through my posts, my histories, my work, and my life. Thanks, C&V'ers. Though me posting this political notice here in C&V isn't compatible with bicycles, nor vintage bicycle (unless you consider me, age 64, to be vintage, and the fact that I've been much involved here), I wanted to thank all my C&V friends for their help and support in my love for C&V bicycles. 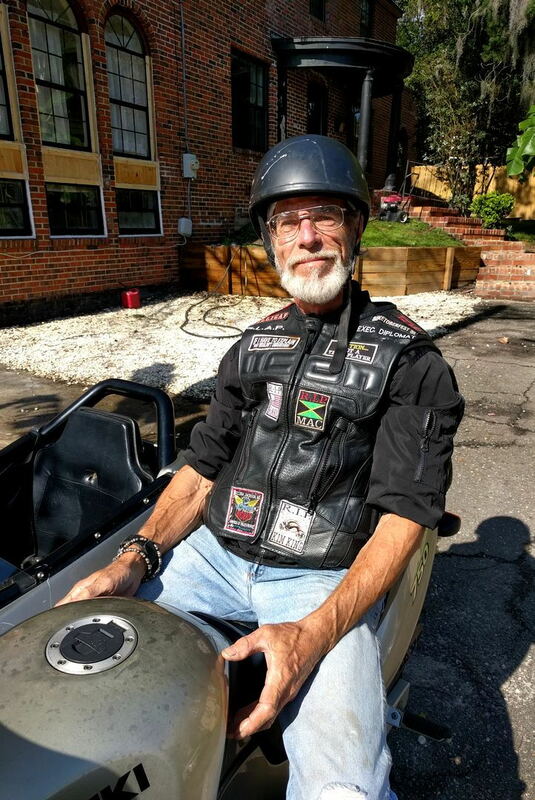 I've made some great friends here, bought some components for my rides, here, and sold some of my bikes and components, here, and for all that help and assistance, I wanted to say "Thanks" here. Moderators, please move if needed, but I just wanted to share in this forum, Classic and Vintage. If you need me to edit-out anything in order to let this remain in C&V, please let me know. Then I guess you and 3 Alarmer will be lobbying for the BF votes. Running for President? Why not riding for President? Come to think of it, I have never seen a President run. I have seen them jogging. They would be much faster on a bike. I think you would cover more ground riding for President. Just make sure your bike is American made for optics. If the bike looks too old you may be considered out of touch with the younger generation though. Maybe choose between different bikes depending on what crowd you are talking too that day. Thread closed for Moderator review. Carry on. But, if this thread gets political it will be moved or closed. This is CV, what’s facebook? I don’t do Facebook either, but would like to know which way you lean, Campagnolo or Shimano? A book of faces, how strange? What's next people addicted to little 3" x 2" video screens? Time to go ride a bike. Stationary for the next 8 weeks....sigh. We had mayor McSchwinn, lol. He would bike in and limo out. What's next people addicted to 3" x 2" video screens? Time to go for a ride. Stationary for another 8 weeks post surgery. But tyler-fred, where are the green, blue, purple parties.....SunTour, Simplex, Acher and all the re-badged Schwinn/Fuji? Will index shifting be outlawed, and all bottom brackets must be square taper ? You will have to pry my SIS out of my cold dead hand . What's your stance on waving? Can we see your tax returns? I vote back to classic and vintage bikie topic. Although I've pledged my early support to a cat who posts on one of the snarky political blogs I read, I can be swayed. Tell me Mike, what is your stance on hiding in your owner's laundry hamper? What's your stance on corporations who insist on posting non-drive side pictures exclusively? Is it a C&V laundry hamper ? Or some newfangled carbon fiber gizmo ? Well, I will be riding. Here's my current ride, and me on it. 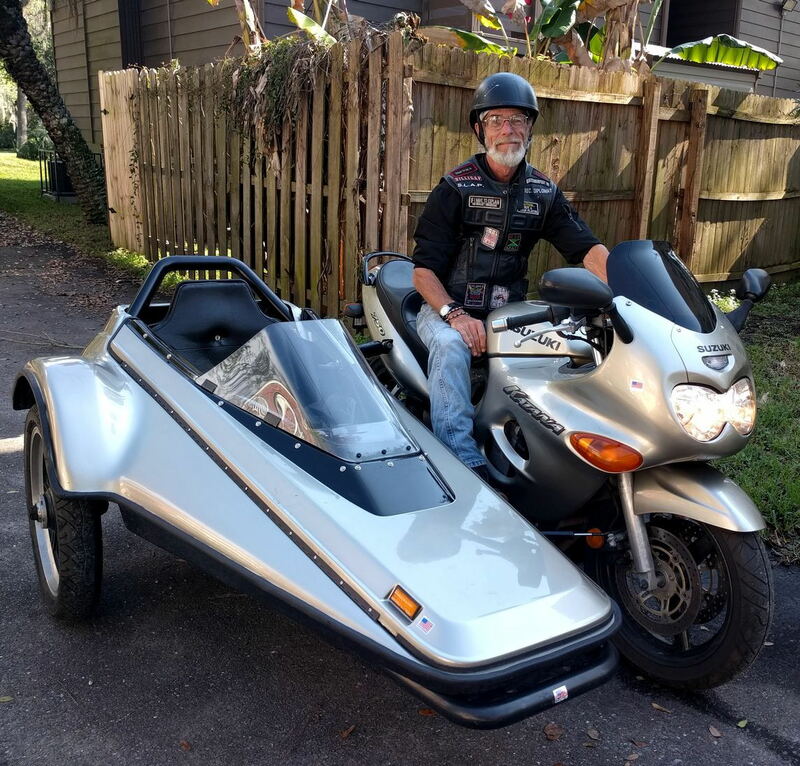 It's a 2001 Suzuki Katana 750, with factory-matched Vetter sidecar. 92 hp, 150 mph top speed, 11.8 secs 1/4 mile (without sidecar attached, mind you, plus I'll never go over 80 on it.) Rides like a dream. Not Vintage, but definitely a Classic. 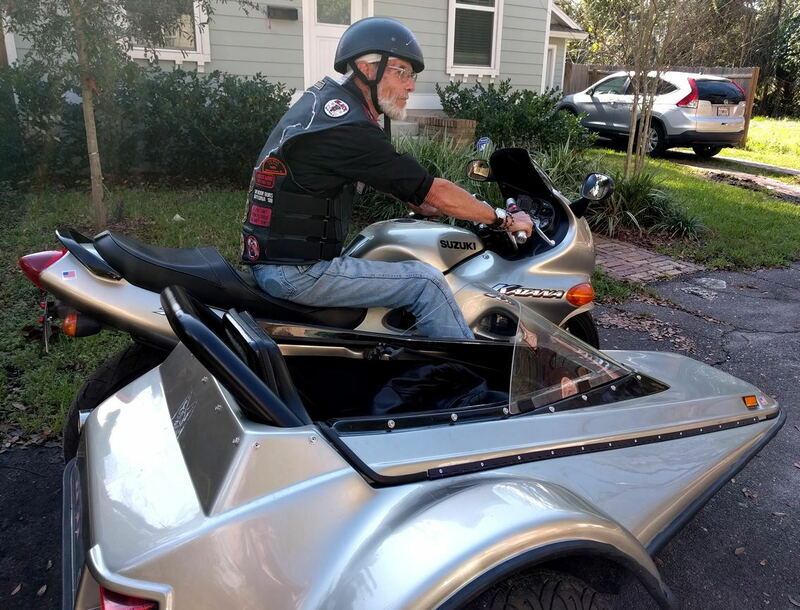 Sport bike riders stop me all the time to take a gander at it, say they've never seen anything like it, never seen a sport bike with a sidecar. I hadn't either, which is why I bought it. I was always into Harleys, but those days are behind me, too much trouble with the Harley types. 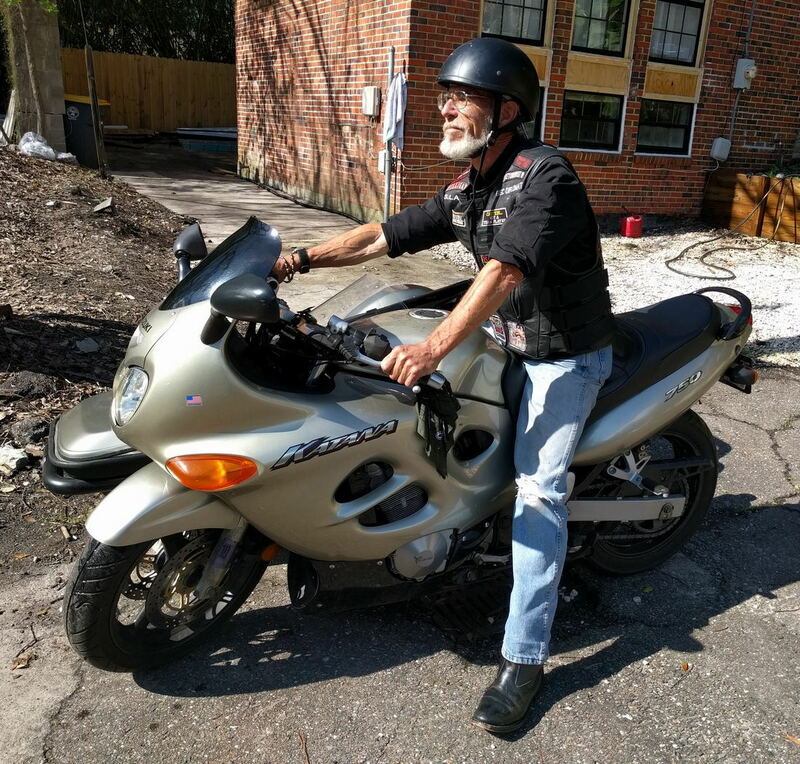 It will be my ride for a whistle-stop tour of the country starting in August, going from Jacksonville to Colorado to start a west-coast tour, then to Canada, and down 101 Pacific Coast Hwy to Mexico, then back to Jacksonville for the Veterans Day events. Once the Veterans day events are completed, I'll be heading north on A1A/US-1 along the east coast to Maine, then back across the Northern tier to Colorado. A good friend, US Army, will be going with me once I get to Colorado. 2 veterans having each other's six. The tour will be followable via Facebook feed, with regular posts of events, people, stories from the road, etc, and a map of my travels will be updated so folks can follow me. I'll take lots of pics of vintage bikes I across along the way, to keep my C&V Presidential tour allowable on BF. I'm a Campy guy, due to my love of Italy. Went there on deployment 1974/75, to Sigonella Sicily. Here's my crew, I'm back row, third from the left. I was the new guy, before I got my own crew a few months later. 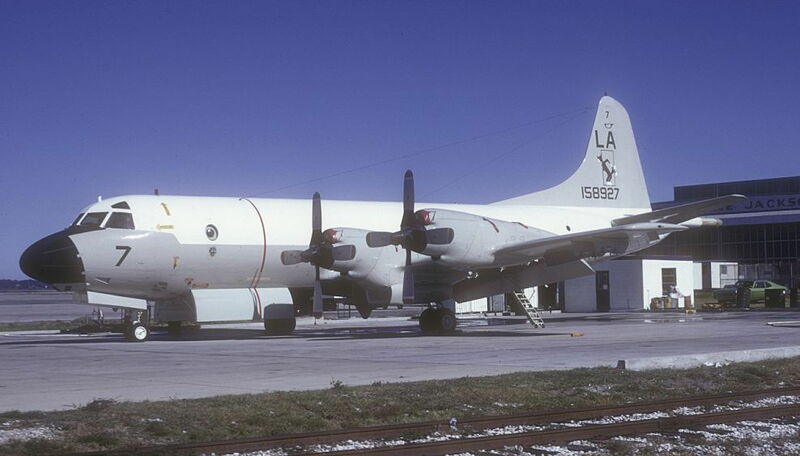 Lockheed P3C Orions, Antisubmarine Warfare. 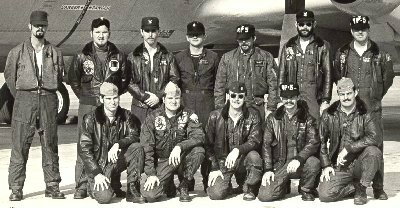 Combat Air Crew 7. I look at it like a book. I'm posting my whole life on it, in short using Facebook to write my autobiography. A real Book, just in digital form. When I'm done with all the singular posts on Facebook, I can just copy and paste it all into a hardbound copy.